Saturday evenings Camden Town. 2 minute walk from Camden Town Tube. Usually 2nd and 4th Saturday each month although please check our events calendar for occasional changes. 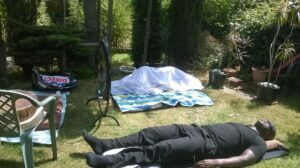 Regular Laughter Yoga Classes for members of the public in Archway – North London on Saturday Mornings. Please see our laughter event calendar for dates and booking. See our Events Calendar http://www.londongong.co..uk/events for our current London events. Please visit our events page to book for future dates and venues. We will be adding several new locations for this year. To be kept in the loop you can also join us via our Meetup Group for advance notification and our Gong and Sound Meditation Event Calendar. 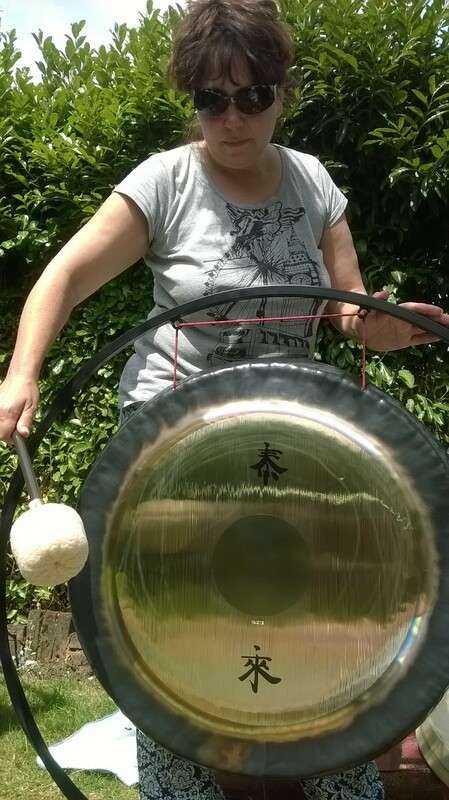 Meet Odette – Founder of London Gong. Gong Master, Sound Healer Practitioner, Meditation teacher, Reiki Master and Laughter Yoga Leader. She has trained with various Gong Teachers including Sheila Whittaker , Don Conreaux , Tom Soltron and Abby delSol. In 2016 Odette embraced the Shamanic Path with Shamanic Advance Pathways training at Caer Cohrhain in Kent. Her sound baths have a real shamanic influence. in 2015 Odette was involved in organising London Events for the Tone of Life European Gong Tour with special guest Don Conreaux. 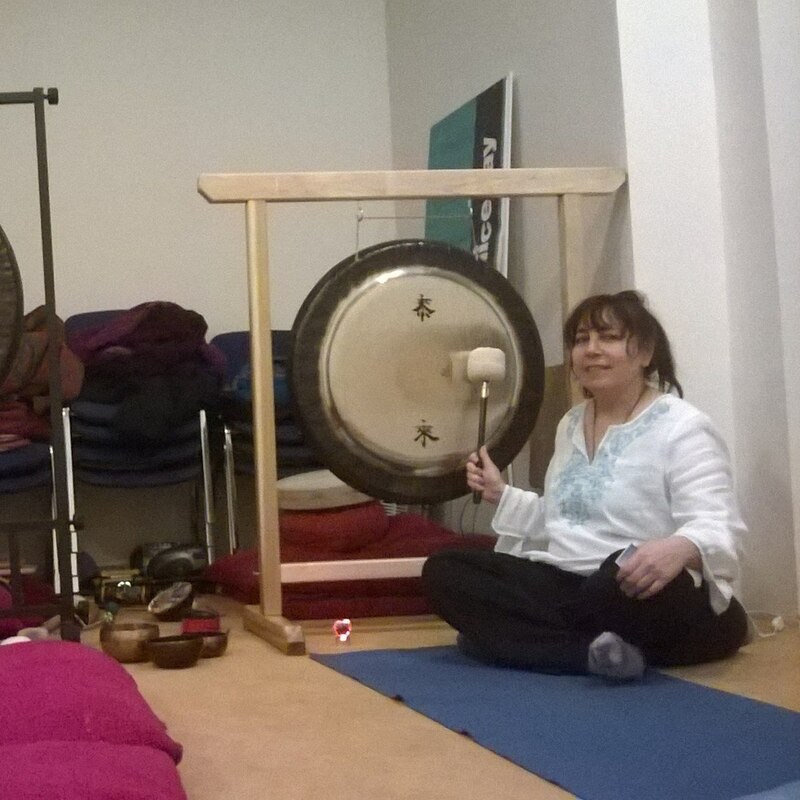 This included a Sold Out London Gong Workshop and Gong Concert attended by around 200 people. Please contact Odette for more information or to book any of the above. Leave your details via our contact page and you will receive a call back or email. Nothing more special than Gonging in Nature. A special gong bath in the garden with an audience of birds and the sounds of leaves rustling in the breeze. GONG is the most resonant tone-producing instrument known. When it vibrates one can sense musical reverberations within all the cells of the body. When people hear the sound of gong, they are subconsciously reminded of blissfulness and safeness of time, spent in the mother’s womb. During the Sound Bath a variety of instruments are played which can include Koshi Chimes, Singing Bowls, Ocean Drums, Bells and Rattles and last but not least Gong!. My entire sound collection is growing as I gather new and interesting sounds. I may use all or some of the instruments I have with me. Each sound journey is different as I work intuitively and bring in whatever feels right at the time!